After almost two decades of Friar Street’s long and slow demise as a retail centre, it might seem reasonable to allow bars and restaurants to open. And while plenty have, it seems the latest has suddenly run into opposition. 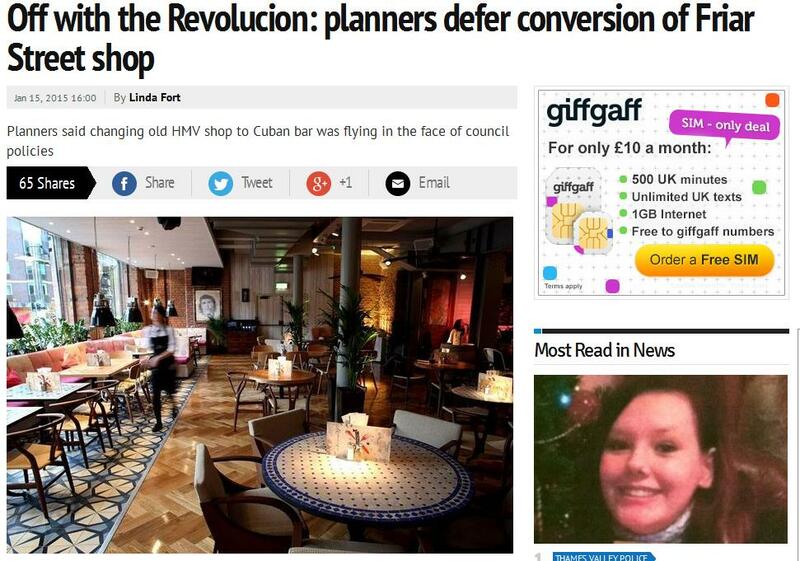 Turning the old HMV store into a Cuban bar seemed nothing particularly out of the ordinary – and quite possibly a good use of a long-empty site. So why have councillors suddenly discovered the perils of drink after years of allowing bar after bar to open just along the road – in both directions – since the late 1990s? Perish the thought that the fact we are just a few months from a very unpredictable election might be obstructing the town’s economic activity.